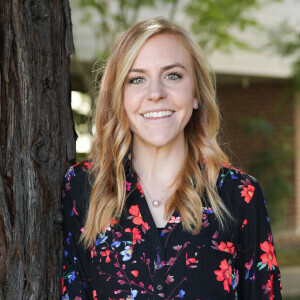 Makenna joined the CPCC family in 2016 after receiving her Master’s degree in Marital and Family Therapy (special emphasis in Medical Family Therapy) from Fuller Theological Seminary. Makenna’s experience and areas of interest include the treatment of Eating Disorders and co-morbid conditions, such as anxiety, depression and other mood disorders, co-dependency, issues related to body image, interpersonal/family conflict and more. Makenna also enjoys working with young adult individuals and couples navigating emotional and relational hurdles and issues pertaining to phase of life transitions. She is well versed in multiple treatment modalities, and is committed to working diligently and collaboratively with her clients to identify the comprehensive approach that best meets their unique needs, goals, and personalities. Makenna has received level 1 and 2 Restoration Therapy training, is a member of the California Association of Marriage and Family Therapists, and is Trauma-Focused Cognitive Behavioral Therapy Certified. She concurrently works as a therapist at Cielo House, an eating disorder treatment program for clients needing a higher level of collaborative care. Makenna finds her clients to be some of the most creative, passionate, and caring individuals she has the pleasure of interacting with, and views therapy as a vessel to bridge the gap to healing. Makenna strives to walk alongside and empower her clients as they identify their strengths, cultivate greater insight and awareness, and become the best, most content versions of themselves.